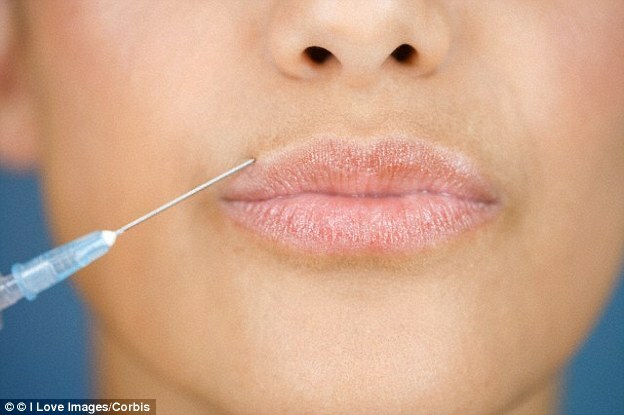 A young woman who had £50 fillers injected at a Thai clinic after finding a cheap deal on Groupon was horrified when her lips turned blue and lumpy. 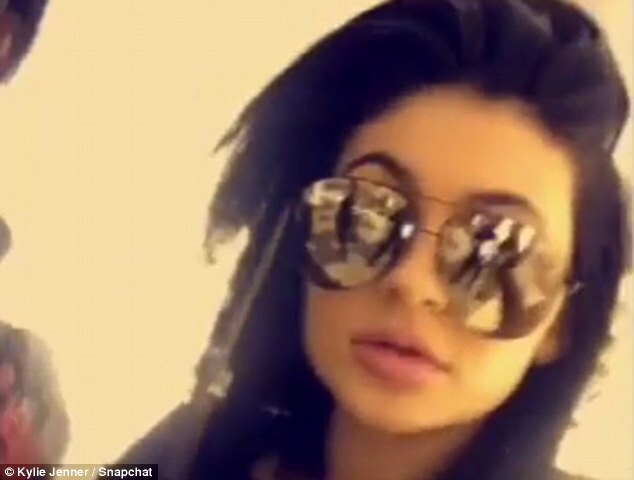 Amelia Greville, 24, who lives in Bangkok and works as a teacher, saw a deal for Juvéderm lip fillers online and purchased it, delighted as this is the brand Kylie Jenner uses. The 24-year-old, who is originally from Redditch, Worcestershire, was not concerned about the cheap price - in the UK Juvéderm fillers normally cost up to £400 - as she believed Groupon was a 'trusted site'. She had researched the brand, and having discovered the fillers are non-permanent, says she considered a cosmetic procedure such as this similar to 'getting your hair dyed'. After having the injections in April last year she was initially happy with her new look, as her lips were much plumper. But within months she was devastated when hard, wart-like lumps formed on her mouth. 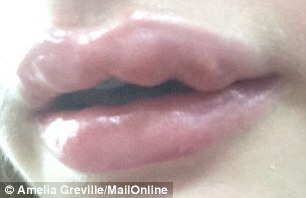 This week, Miss Grenville went public with her story, trying to raise £1,500 needed for surgery to correct her swollen lips. But after sharing her story with MailOnline, the original clinic contacted her and donated most of the money towards the treatment, which she will have as soon as possible at a specialist hospital. Recalling the moment she first noticed lumps forming in her links, she told MailOnline: 'I looked in the mirror and looked horrific. I cried to my boyfriend at the time, but I didn't tell anyone back home. 'Your lips are right there on your face, the first thing that people look at. 'Mine looked grotesque. The word I always say is my lips look mangled. 'Now I try to never smile with my mouth open because I’ve got these massive three lumps. 'Whenever I meet someone new I’m self-conscious, I think they must be looking at my lips. Miss Greville added she felt so unconfident that her unsightly lips put a strain on her relationship, eventually contributing to the couple breaking up. Worse, she says she can't stop herself from licking and biting the lumps. 'I’m compelled to do it. It's like my body is saying There's something foreign in your lip. If I touch them they're so sore,' she said. To this day, she has no idea whether the clinic she went to was reputable or not. She admitted: ‘I couldn't read the comments on the clinic's Facebook page because they were in Thai, but they had good reviews looking at the stars. Miss Greville told MailOnline: 'I'm not the type that would have cosmetic surgery done. I'm not unhappy with my lips. But my friends had lip fillers and they looked good. Juvéderm lip fillers are made from hyaluronic acid, a substance found naturally within the skin which increases its volume, giving the mouth a plumper look. The fillers last for between six months and a year, and then dissolve naturally within the body. If a person is unhappy with their fillers, injections of an enzyme hyaluronidase should dissolve the hyaluronic acid within 24 hours. Miss Greville says her lips initially looked 'nice' - but within two months a lump formed on her top lip and another on her bottom lip. When Miss Grenville returned to the clinic two months later, staff injected her with another fluid they claimed would rectify the problem. Instead, to her horror, her lips started to swell and turn blue. 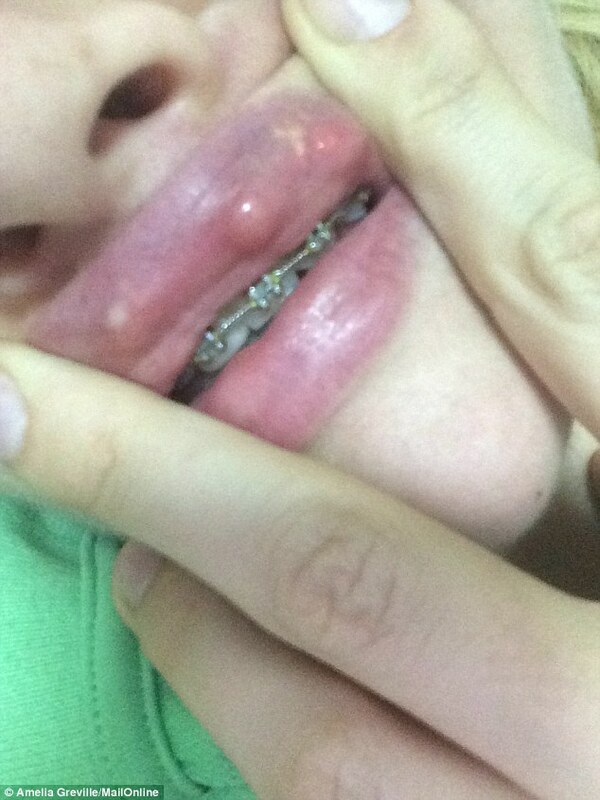 Later, more yellow, painful lumps formed on top of the initial lumps that already protruded from her mouth. She claims the doctor also asked if she had been massaging her mouth every day, an instruction she maintains she had not been given when the fillers done. She said: 'I wasn't told this. The doctor said Put a hot compress on your lips and the lumps will massage out. But I knew they wouldn't. With her confidence ruined and her schoolchildren making fun of her, Miss Greville became concerned she had never been injected with Juvéderm in the first place. 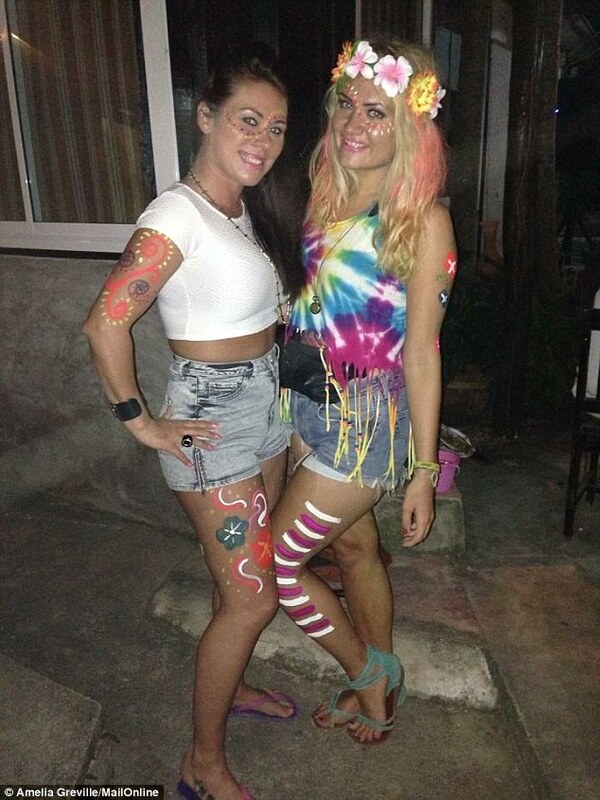 And she claims staff at the clinic became 'frosty' and refused to help her unless she paid for more injections. 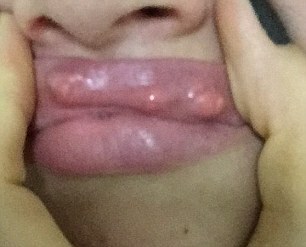 After researching online, she discovered she may have granulomas, small areas of inflamed tissue, which are a known complication of silicone lip fillers. She complained to Groupon, she was given a refund for her original voucher and the advert was taken off the site. But by this point, her swollen lips meant Miss Grenville felt ugly and affected her professionally. In constant pain - and with her confidence in tatters - she contacted another clinic. There, a doctor inspected her lips and, alarmingly, declared he believed the clinic had used silicone - a much cheaper substance which is illegal in Thailand. And attracted by the cheap prices for procedures, Miss Grenville is far from the first person to fall victim to cosmetic surgery going dangerously wrong in the country. Bangkok has become a haven for illegal clinics with so-called ‘bag doctors’ operating using counterfeit Botox, cheap facial fillers an assortment of banned products known to have dangerous side effects. 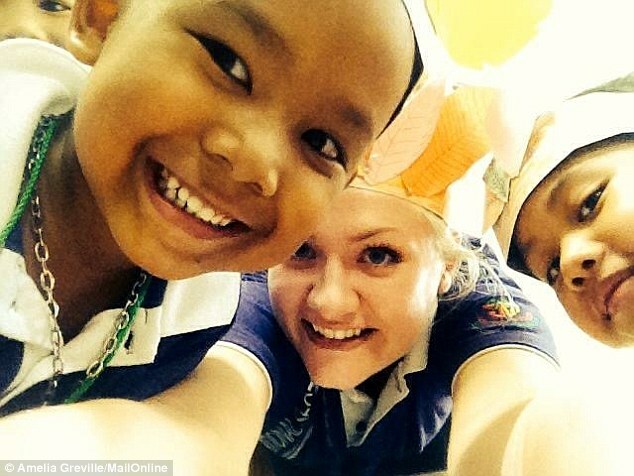 Miss Greville told MailOnline: 'It has been horrific. I teach primary school children. They say Teacher what's wrong with your lips? 'It's so humiliating. It has ruined my confidence. 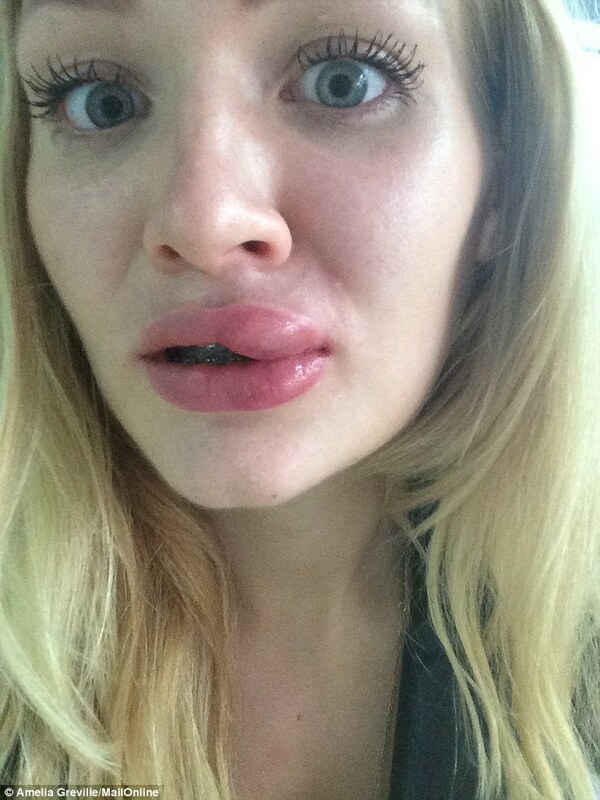 The idea of going on a date mortifies me, there's no way I'm doing it until my lips get fixed. I'm so embarrassed. She says she trusted Groupon as a website, and believed she would be safe from harm as she thought the site vetted clinics. She told MailOnline: 'It didn't occur to me they wouldn't background check. In the UK, they are a trusted website. 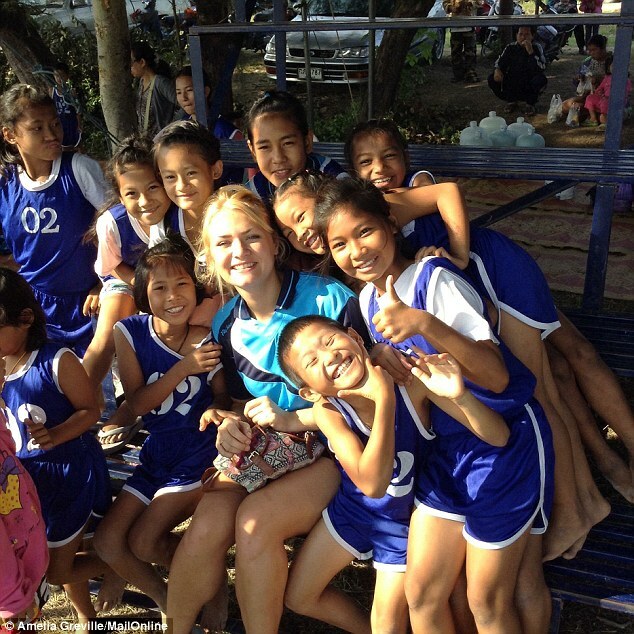 'I couldn't read the comments on the clinic's Facebook page because they were in Thai, but they had good reviews looking at the stars. Miss Greville was referred to an eminent surgeon at the Samitijev hospital in Bangkok, who said he could fix her lips with surgery and a fat graft, but the cost will be around 75,000 Thai Baht (roughly £1,500). She began fundraising for the money, but after sharing her story with MailOnline, the clinic contacted her and donated most of the cash for the procedure. Writing on her GOFundMe page, she said today: 'The clinic has given me a pretty big chunk of the money I need after I went public with the story. She believes the surgery will allow her to prove that the clinic used silicone rather than Juvéderm. Until then, she is concerned that other women could be similarly affected. She said: 'It's a massive worry that other women could be going to that clinic. I saw one woman having filler in her cheeks and lips. 'I feel lucky it only happened in my lips - not that I would get it anywhere else because I don't need it. MailOnline has contacted Groupon's UK press office for a response. Groupon Thailand shut down in September 2015, after shutting operations in Morocco, Panama, the Philippines, Puerto Rico, Taiwan, and Uruguay after exiting Greece and Turkey. Speaking on behalf of Juvéderm, practitioner Dr David Eccleston, clinical director of MediZen, said in a statement: 'I have been injecting the brand fillers since the product was launched. 'Unfortunately, there are many unscrupulous so-called practitioners who cut costs by using counterfeit or alternative products to maximise their profit margin and offer treatment at ridiculously low prices, which tempt the unwary. 'If you plan to undergo treatment, ensure you see a doctor or nurse prescriber for a proper consultation, and insist on seeing the product packaging and the that the brand advertised is the one you are receiving. 'Ask as many questions as you need to feel comfortable that the product is right for you. 'Do not fall for special offers or pressure to undergo treatment. Ensure the clinic you are attending is CQC registered, and check the qualifications of the practitioner beforehand. 'Check out Treatments you can Trust website to find a reputable practitioner.